As 32 teams vie for the $38-million top prize, the Cup is filled with rivalries new and old. A round-robin tournament in which each of the four teams in the Cup’s eight groups play each other once, for a total of six matches played per group. Three points for a win, one for a draw. The top two teams from each group advance. A single-elimination tournament in which each of the top teams from the eight groups plays against the runner-up of another group. The winners of the first round of matches advance to the quarter-finals, followed by the semi-finals and so on. Geographic neighbours and long-time rivals. The last time they faced off, at Euro 2012, Spain won 4–2 on penalty kicks. But after its disappointing 2014 performance, Spain has a lot to prove. Given that Germany won the 2014 Cup and is the clear favourite for this year’s competition, the pressure is on for a strong showing in Russia. Mexico poses the best shot at an upset. 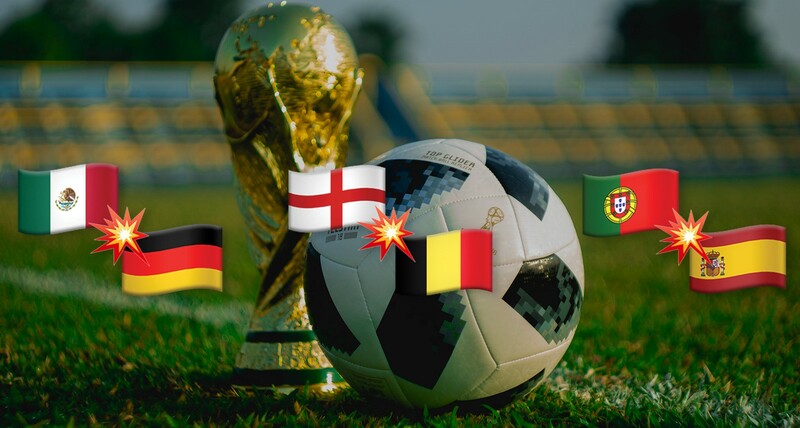 It’s fairly safe to bet on England and Belgium being the two countries that advance from Group G. But this late match could get a whole lot more interesting if either has suffered a loss beforehand. Liverpool’s Mohamed Salah tells CNN that it's easier for Harry Kane or Sergio Aguero to win the Golden Boot.